Made from Stainless Steel, this cockring is designed with comfort and style in mind The Cockring has Inlay Silicon Rubber Rings. In the colors: Red, Black, Blue and Yellow. 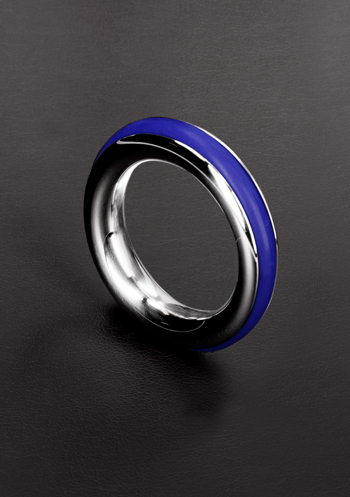 This ring will help prolong your erection and add some flare at the same time.